An analysis of world energy infrastructure by the International Energy Agency has warned that the world is planning to develop so many fossil fuel–based power plants, inefficient buildings, and carbon intensive factories over the next five years, that it may be impossible to avert disastrous levels of climate change. The international Energy Agency has said the results of building further fossil fuel infrastructure will be disastrous, as the carbon emissions will be produced for decades to come. The extra carbon production will be “locked-in” by this new fossil fuel infrastructure. A significant change in energy development needs to occur within the next five years. 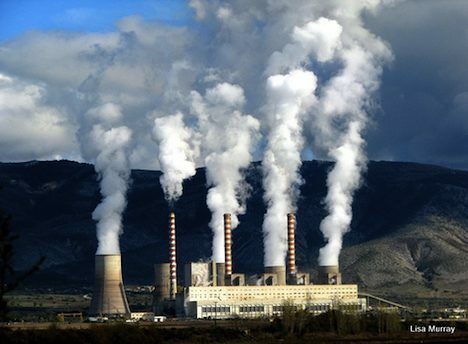 Scientists say that if the world is to keep global warming to below the “safe level” of a 2 degree Celsius rise, emissions much be kept below 450 parts per million of carbon dioxide in the atmosphere. According to NOAA Earth System Research Laboratory, as of September 2011 the level was 389 ppm. Many maintain (notoably head NASA climatologist James Hansen) that 350 ppm is the safe level to which carbon emissions should have been kept to, and that we need to get back to somehow. In other words, the world is overdue for a major transition away from fossil fuels to a new clean energy infrastructure. There is no time to lose. No doubt the IEA warning is timed to coincide with international climate negotiations leading up to the important United Nations Climate Change Conference in Durban. So far, it’s not looking promising for a significant global agreement in Durban. When do you think the world as a unified group of nations will finally get it together to take swift action to reduce carbon emissions? Do you think a major switch to clean energy and low carbon technologies around the world will happen without such a global agreement?